Skylar Funk Boorman ’10 and Merritt Graves ’10 have spent their years since Pomona successfully combining their love of music with the fight against climate change. 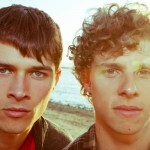 Their outlet is Trapdoor Social, a band self-described as “Los Angeles Alternative Energy Rock and Sustainability Activism.” They recently released their second album and have been touring, doing shows throughout the Midwest and West Coast. The music videos for their alt-pop songs from their first album “Death of a Friend,” which featured Death Cab for Cutie’s well-known drummer Jason McGerr, have drawn large viewership online and play on the radio. John Stout starts this night’s KSPC (88.7 FM) broadcast the same way he has for the last three decades: “Good evening and welcome to the show. This is Boss Guy in Claremont with music from the late 50s, 60s, and 70s.” He jumps right in, begins taking requests and sits back to enjoy the music. 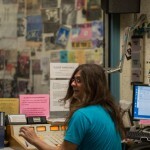 Pomona’s campus radio station has hosted the The Boss Guy in Claremont show since the fall of 1983, and though much has changed since then, John still lugs eight boxes of records and CDs to the station every Sunday for his show, which lasts from 10 p.m. to 1 a.m. (Afterwards, John hosts the World’s Music Without Boundaries show from 1 a.m. to 3 a.m.). The station's crew reaches beyond students: Stout is part of a group of community members who fill key slots in the station's schedule, offering a mix of music -- ranging from polka to a show devoted to movie soundtracks -- that might not find a home on commercial radio. Here, Stout talks about how it all began, what it’s like to host radio and how it felt to recently reach the milestone of 30 years on the air. Pomona College English Professor Kevin Dettmar is teaching a Critical Inquiry (ID1) course this semester about Radiohead as a way to “test-drive” the idea of writing a book about the influential English rock band. 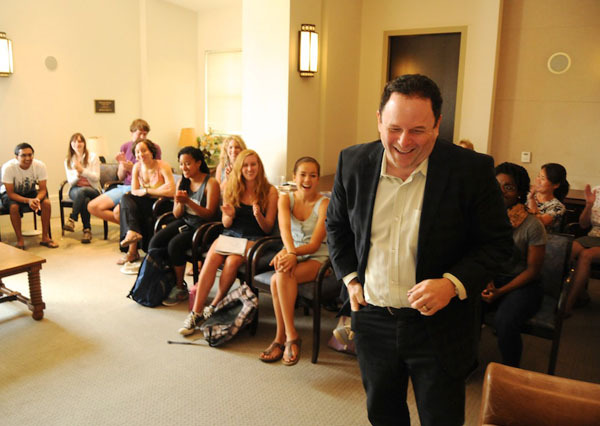 “I thought the full-immersion experience of an ID1 would be a great way for me to do all the reading, think through the questions and issues,” says Dettmar, who has three times previously taught a freshman seminar on Flashpoints in Rock ‘n’ Roll History. 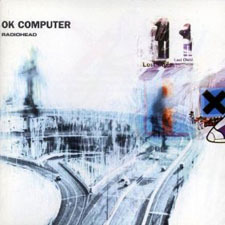 In class, students discuss Radiohead’s lyrics and music, the meanings behind them and how the songs affect listeners. They’ll look at Thomas Pynchon’s novel The Crying of Lot 49 and its influence on Radiohead, as well as band’s effect on debates over such issues as climate change. Dettmar, who wrote the textbook Think Rock, also has a forthcoming entry in the 33-1/3 book series on Gang of Four’s Entertainment! View a sample from the book here. Although facets of traditional bookmaking linger—some letterpress printing here, some hand-binding there—no other workshop houses the complete process, from the casting of type to the trimming of covers. … Contemporary publishing favors open access; recent advances in the technology of reading offer many text formats, not the perfection of a single one. Data suggest that Americans read more now than ever before, but how they read is increasingly unmoored from paper’s physical aspect. And yet the book persists, with something of a second wind. Today, Arion Press leads a growing group of small Bay Area–based publishers placing a fresh emphasis on physical type and centuries-long tradition, revivifying the old arts at the heart of screen-age creativity. Users of the iPhone might forget that Apple’s early rise in design-based computing drew from the traditions of typography, but the press has not: it is among the leading custodians of that craft and one of the few remaining producers of cast type. With his frequent firings and penchant for workplace naps, Seinfeld sidekick George Costanza would be the last person you’d turn to for career advice. But the man who became famous playing the role for nine seasons on the comedy? He’s golden. Narrowing your vision, he said, can give you a better sense of definition and purpose. Alexander recounted a time early in his career when he became “crippled by stage fright” and was “too afraid to tell anybody.” He finally confided in his acting teacher Larry Moss, who refused to coddle him. 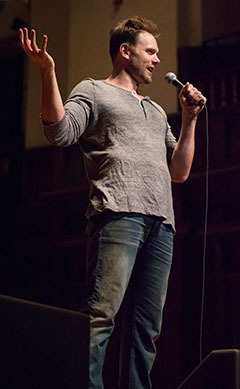 Later in the day, Alexander spent two hours with students in Basic Acting classes taught by Professor Betty Bernhard and Visiting Lecturer Janet Hayatshahi. 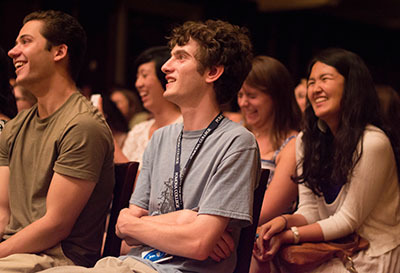 Afterward, students gathered to get their pictures taken with the actor. 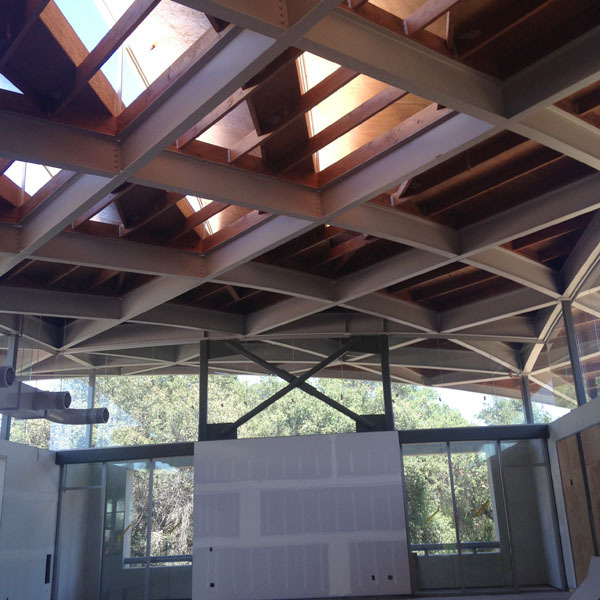 Pomona College Museum of Art Director Kathleen Howe this summer set off for Sweden, home of the northernmost Skyspace created by artist James Turrell ’65, for the first-ever international gathering for owners and caretakers of these sought-after windows to the sky. 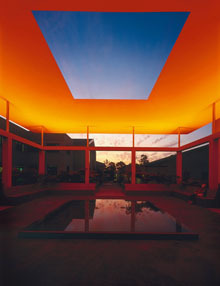 At each of these Turrell creations, which now dot the globe from Argentina to China to Pomona’s own Draper Courtyard, openings to the sky and shifts in ambient light create fascinating perceptual changes as the sun sets and rises. But the gathering near Stockholm offered something extra. On a July night in the far north, Howe and 35 others watched in awe as the Skyspace light show went on for more than two hours in the long, lingering twilight. At quarter till midnight, when the show was over, “it was still light enough to walk home through the woods,” recalls Howe. “Dividing the Light” — copyright James Turrell. Pomona’s Skyspace – and the College itself — took on a special glow as well during the three-day gathering. Griffith Observatory Director Edwin Krupp ’66 gave the keynote on archeoastronomy, the study of how past civilizations observed the starry skies, and Howe witnessed he and Turrell entrancing a tableful of attendees with their Pomona tales.